If you look up “multifaceted” in the metal dictionary, you just might see a picture of Finnish stalwarts Amorphis. Loosely based on the idea of empires and civilizations rising and falling, Queen of Time is a collection of epic songs in the truest sense of the word. Every single cut on this ten song album is slathered in layers of instrumentation, giving the impression of massive, cinematic spectacle. 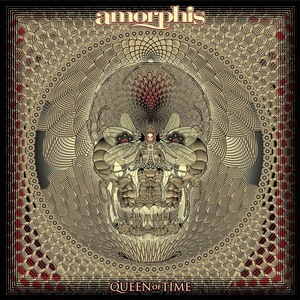 Each song is immaculately arranged, and show Amorphis to be a band that defies a single genre label. Melodeath, folk, power and progressive metal are all on full display throughout, often interwoven seamlessly within a single song. Amorphis gave us a gem with Under the Red Cloud, and on Queen of Time they have upped the ante in almost every way imaginable, delivering an engaging, thoroughly entertaining album that shows us they are the one of the most well-rounded and capable bands in the metal scene. The album’s title track sets the tone that you get throughout the album: muddied riffs, psychotic screams from beyond and drums that absolutely sound like they will explode if they keep progressing at that rate. Brutal death metal is a genre known for being technical, however not overtly so, Skinless do this in their guitar solos, which break up the meat and potatoes death metal and offer some flash within this aural muck. 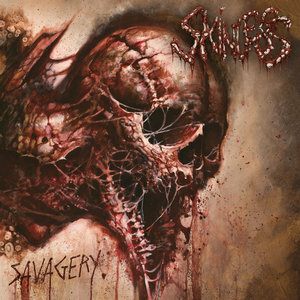 A solid death metal album and a really fun affair overall, Savagery is for all death metal fans. Lineup changes are extremely common, but it’s always a little trickier when it’s the vocalist. Replacing the face and voice of a group can be a difficult transition. Portland doomsters Witch Mountain released several critically acclaimed albums with Ula Plotkin, who left the band in 2014. She was replaced by Kayla Dixon for their new album, a self-titled effort. Dixon had plenty of time to acclimate, spending a few years touring before entering the studio to record Witch Mountain. That helped make the transition smoother. She’s a powerful singer with a soulful middle register able to belt out higher notes as well. On songs like “Burn You Down” she displays everything from subtle, reserved crooning to potent singing to aggressive yelling/growling. 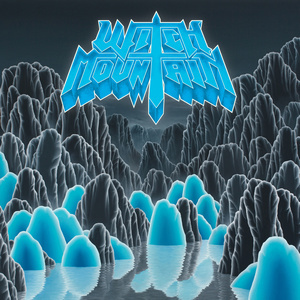 The five songs on the album range from the brief and mellow 2 and a half minute “Hellfire” to the epic 14 minute closer “Nighthawk.” The current incarnation of Witch Mountain (which also includes new bassist Justin Brown) is just as much of a force as they have always been. Loosely described as technical death metal, Alkaloid are a supergroup of sorts, featuring ex- and current members of Obscura, Necrophagist, Aborted and more. Technical death metal is too limiting of a term for this quintet. Wolvhammer return after four years and it feels nice to see the collective together again seeing as each member seems to be busy with other bands. Most recently frontman Adam Clemans took the helm for Skeletonwitch, who also have a new album coming out this year. But that is about the nicest thing about the band, whose song titles are less than savory and whose music compares favorably to Black Anvil. “Call Me Death” opens with the “Inquisition riff” and helps the song to plod along and create an oppressive otherworldly atmosphere. 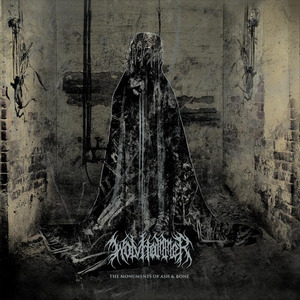 This is definitely a black metal band first with a modern no frills approach and solid effort overall. 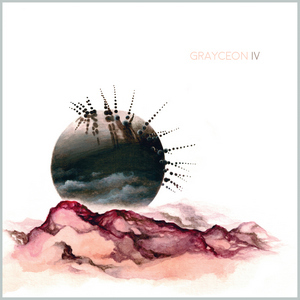 An increasing sense of urgency runs through Grayceon’s IV, a feature not always present in California band’s past work. The trio still has a powerful snap to their music, as Jackie Perez Gratz’s (Giant Squid, ex-Ludicra) cello pulls double duty as a rhythm and lead instrument. The frantic harmonies between Gratz and guitarist Max Doyle are pure ecstasy. Grayceon shift from thundering metal to low-key rock, partially held together due to Gratz’s enlightened vocals. What makes the band noteworthy is not the prominent use of a cello in this kind of setting, but how they incorporate what is usually seen as a classical instrument in a way to avoid the music being characterized under that umbrella. Agreed with Queen of Time-it’s magic! I do like the Ihsahn album a lot.